3. X-Clusives Animations "Stop and do the bunny hop!!" 4. Que Rico Design "Aboriginal Art - Unique Patterns & Textures"
5. Artic Storm "Check the windows-upper blinds"
6. Harambee Gwassi-Kenya Project "Just where you will arrive, among the group gifts!" 7. 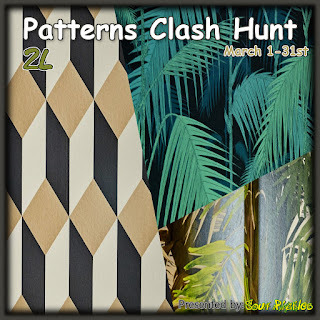 The Happy Hat "The HUNT HINT will show on where this Pattern Clash will go." 8. Uni Boutique "Yum Coke!!!!" 9. Waffles "Isn't that a lovely pattern on that coffee cup. " 10. MadCatCreations Boutique "IN the Blinds"
11. The Sissy Bar "In the Biker World, PATCHES add color to your cut"
13. Meander "The writing is on the wall." 14. LOoLOo & the Platypus "CAN you color my world?" 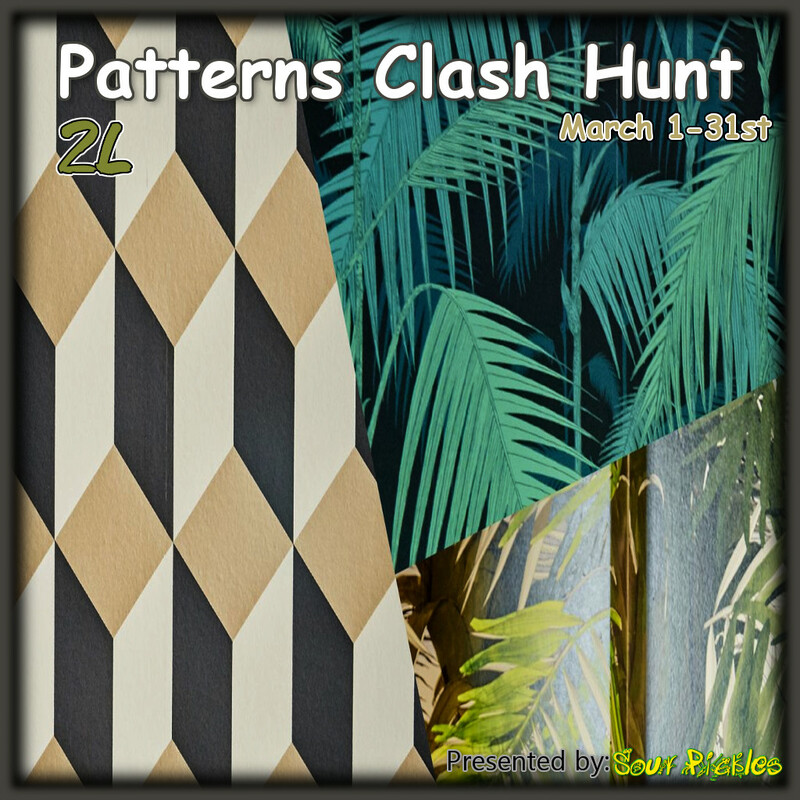 Sour Pickles Hunts bring you the Pattern Clash Hunt. Accepting applications till February 23rd. THE THEME: What's your favorite pattern? Enjoy mixing them? We know we all have our secret obsession. 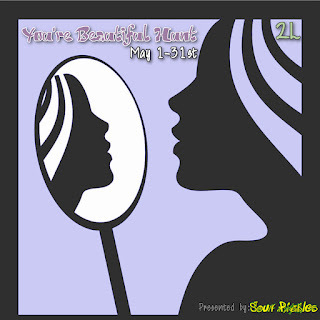 Show us what your favorite is! 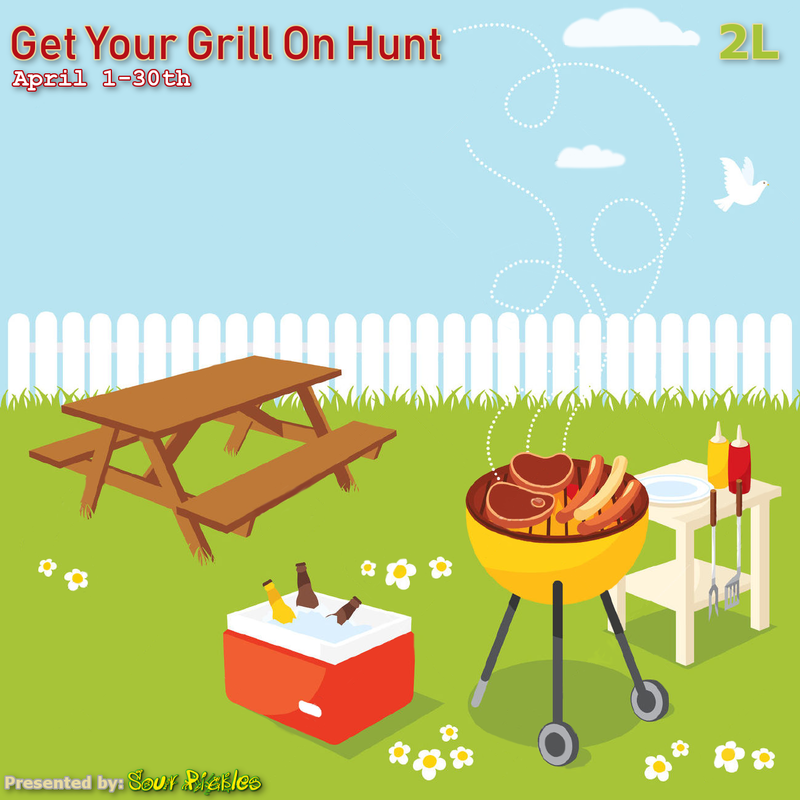 This is a 2L hunt. Thank you for your interest in the Sour Pickles Hunt "Pattern Clash Hunt"